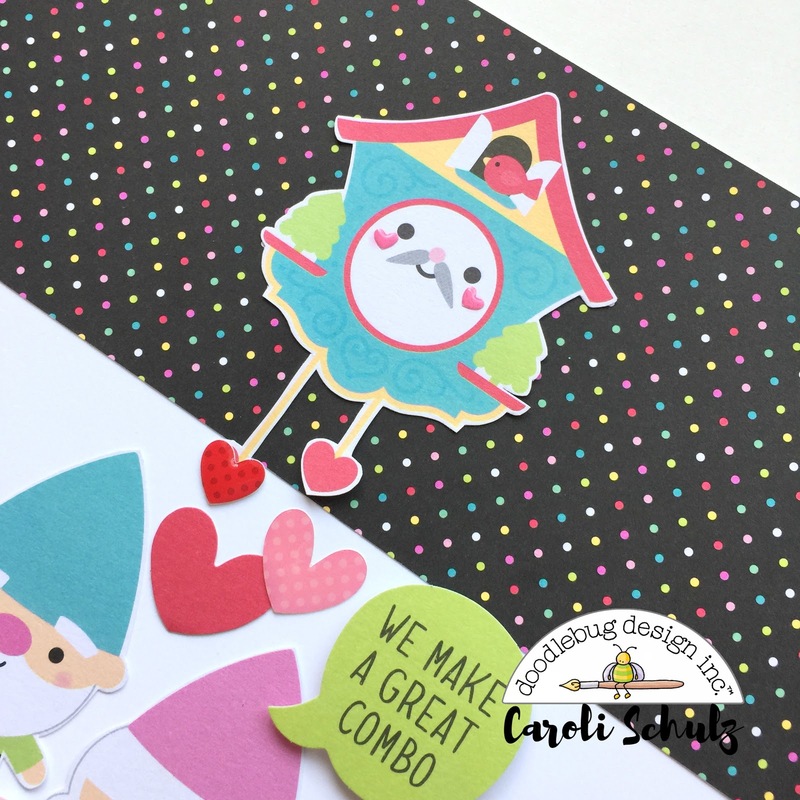 Hello there my dear Doodlebug friends! 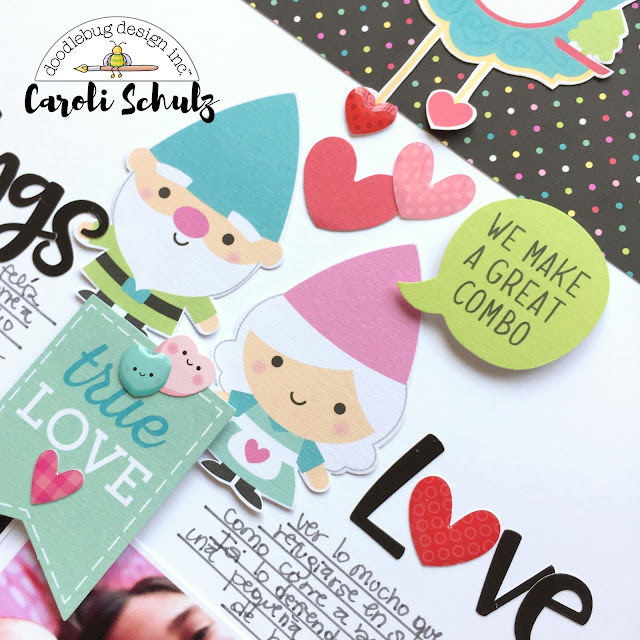 Today I want to share another layout I made with the So Punny collection, this time with a Valentine's theme. I feel so lucky and thankful for the great bond my two kids have. Although they have almost 7 years of difference, they are good friends and love and support each other unconditionally. 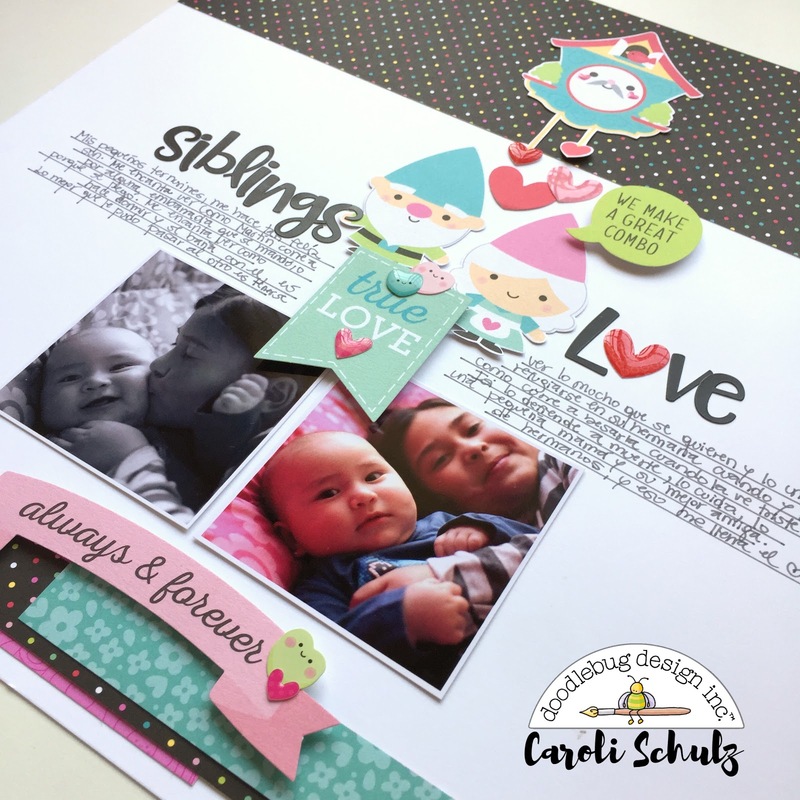 This siblings love is what I tried to document in this layout. One thing I love about this collection is that they included black color, love how black pops froma ll other bright colors, it is a pretty effect so I udes some black in my layout. This time I went for a classic design with a column in the middle. 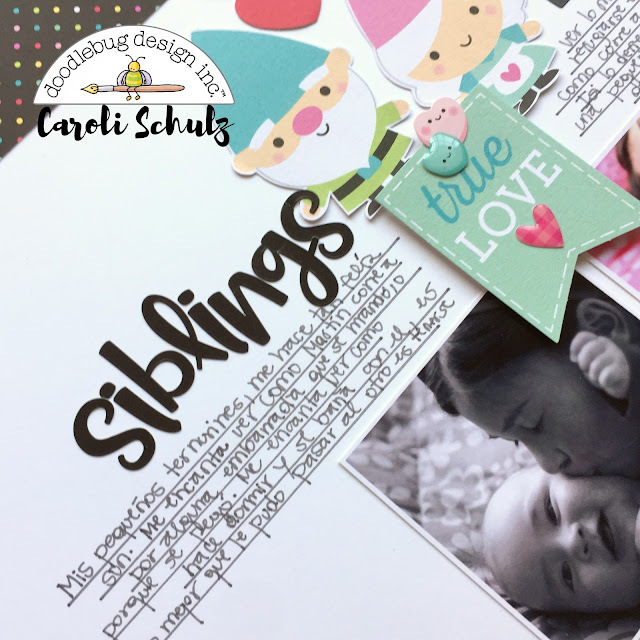 These two gnomes seemed perfect for my siblings love idea so i used them as main embellishment and part of my title. 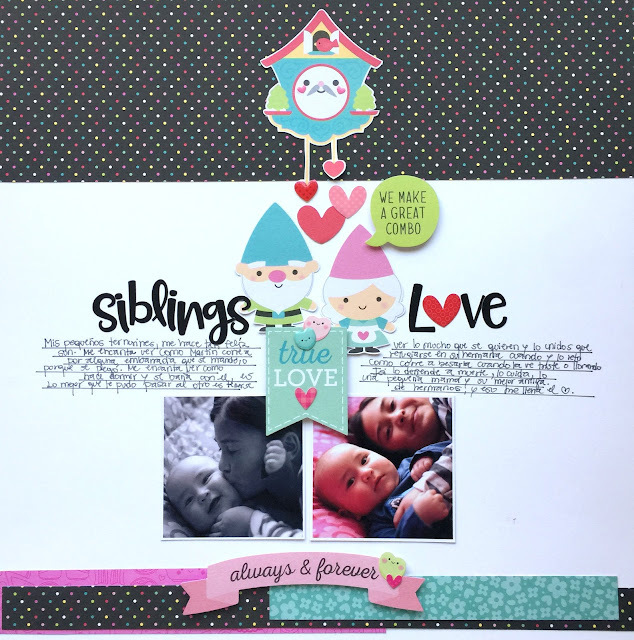 Also, I used few of the the new Chit Chat diecuts, I love them! they add a funny detail to any project. I wanted to have a lot of black to make a great contrast with bright colors, so I used black Abigail alpha for my title. Here you can see how my layout came out, I like it although it's pretty simple it has a lot of volume. I hope you liked this idea and get inspiration for working with So Punny collection, thanks for your visit.